Bain’s Cape Mountain Whisky, has announced the launch of a new limited-edition 15 Year Old variant, of its multi award-winning single grain whisky. 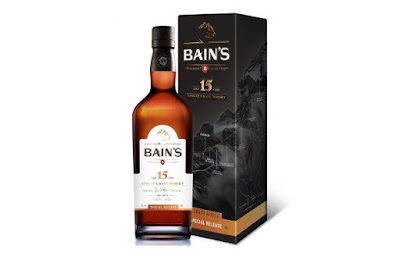 Bain’s Cape Mountain Whisky 15 Year Old (52.5% ABV) has been produced using the brands signature single grain whisky, which was matured for an additional 10 years, in older 3rd and 4th fill American oak casks. Produced at the James Sedgwick Distillery in Wellington - South Africa, Bain’s Cape Mountain Whisky 15 Year Old, is the first bottling to be released as part of the brands new Founder’s Collection series. The first bottling in the new series pays tribute to Andrew Geddes Bain, who built the Bain’s Kloof Pass, one of his most spectacular mountain passes constructed across South Africa. Bain’s Cape Mountain Whisky, was awarded as the World’s Best Grain Whisky at the 2013 and again in 2018 at the World Whiskies Awards. Limited to just 3600 bottles, Bain’s Cape Mountain Whisky 15 Year Old, is now available from Big Five Duty Free for R950, and directly from The James Sedgwick Distillery for R1000.